Find an Arizona active adult real estate agent today! Your Arizona active adult real estate agent is waiting to help you! 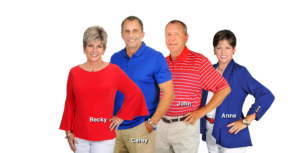 If you want an Arizona active adult real estate agent who knows retirement communities well, then you need The Kolb Team. It is important to find a real estate agent who specializes in active adult retirement communities to help you determine which community is right for you. The Kolb Team can give you inside tips on how each community varies so that you can narrow your search to the ones that best fit your needs and goals. Discover your top agent in the Chandler and Sun Lakes, Arizona areas. Chandler and Sun Lakes, Arizona are home to several active adult retirement communities. You will find Dell Webb’s Solera in Chandler as well as Robson’s Sunbird community. Springfield is a small retirement community also located in Chandler. Sun Lakes, Arizona is home to five separate communities with just under 10,000 homes. As an Arizona active adult real estate agents specialist, we feel video is one of the best ways to showcase some of the East Valley Arizona active adult retirement communities. See below for more information on Solera, Sunbird and Sun Lakes. You will see that each community has its own amenities. Enjoy golf, tennis, pickle ball, fitness center, arts and crafts, card clubs, hiking and biking clubs, concerts, restaurants, and many activities to enjoy with people from all over the world. Each year, the various retirement areas in Arizona swell to full capacity as snowbirds enjoy the warm winter climate and plethora of activities. However, many people live in these retirement communities year round and enjoy resort living 365 days per year. The Kolb Team will help you find the community that best fits your lifestyle. Are you ready to talk with an Arizona active adult real estate agent to learn more about retirement communities? Contact us here or call us at 480-440-0849 and let’s get started today!